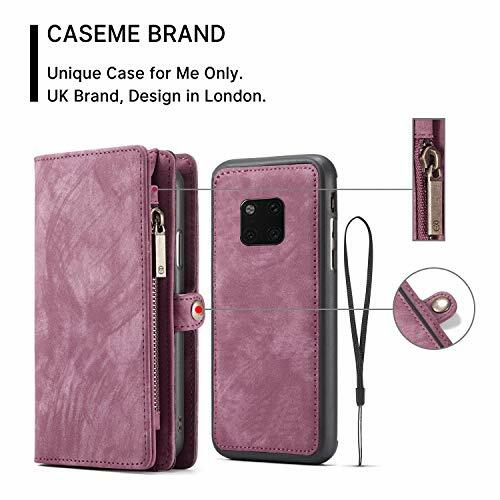 1.Specially Designed Zipper Wallet Case For Huawei Mate 20 Pro.High Quality Cowhide Handmade Retro Design. 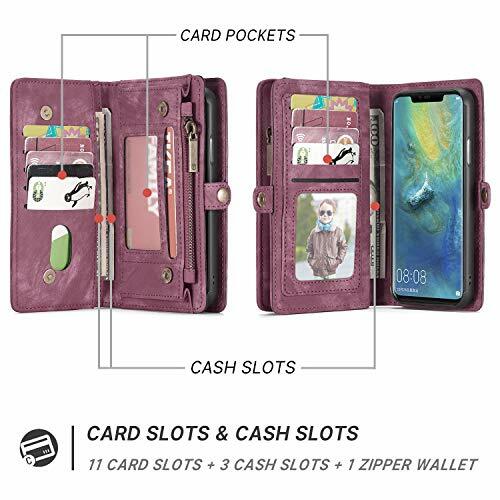 2.Detachable Wallet Design: 11 Card Slots + 3 Cash Slots + 1 Zipper Coins Slots. 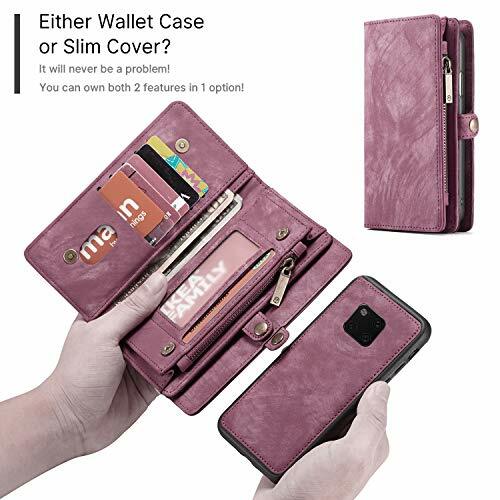 It is not only a Phone case, it is also a large wallet. Support for placing ID cards, credit cards, business cards, transportation cards, some Cash and coins. You can carry the cards and cash you need without a backpack when you go out. 3.2 in 1 Detachable Design: With a removable phone case firm attached to the wallet. 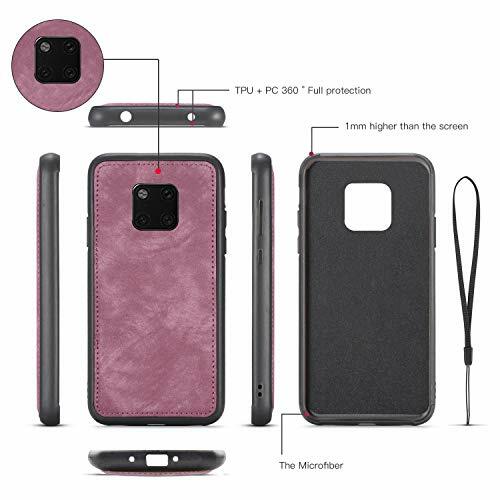 You can use the ultra-thin back shell alone when you take pictures, answer calls, watch videos wireless charging when you are at home, at the company or indoors The wallet’s card slot helps you to store all the cards, coins and change, you don’t need to find a card from the big backpack for a long time. 4. Magnet and Zipper design: A magnetic buckle is designed between the card slots to prevent the card from being lost. 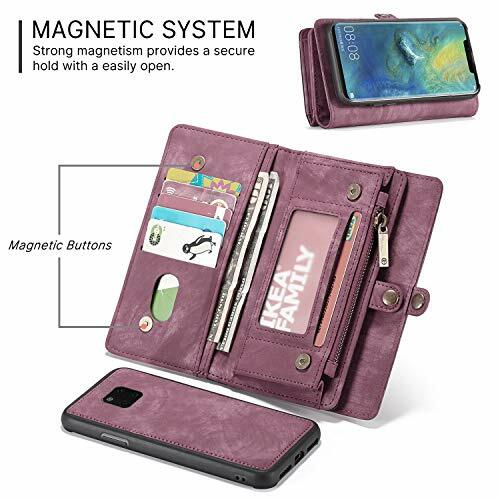 Built-in magnets in the back cover and wallet prevent the phone from drop and scratching.Zipper closure ensures all your important items securely stay inside. 5.Full Body protection : Covers all four corners of your iPhone and includes raised edges to prevent screen scratches. 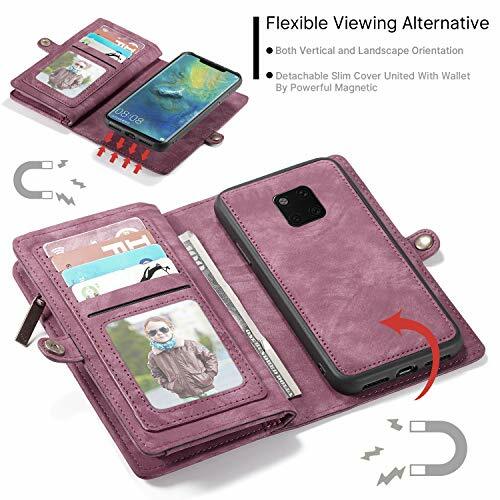 The magnetic clip allows for quick fastening and access, convenient kickstand lets you watch videos or browse the web.